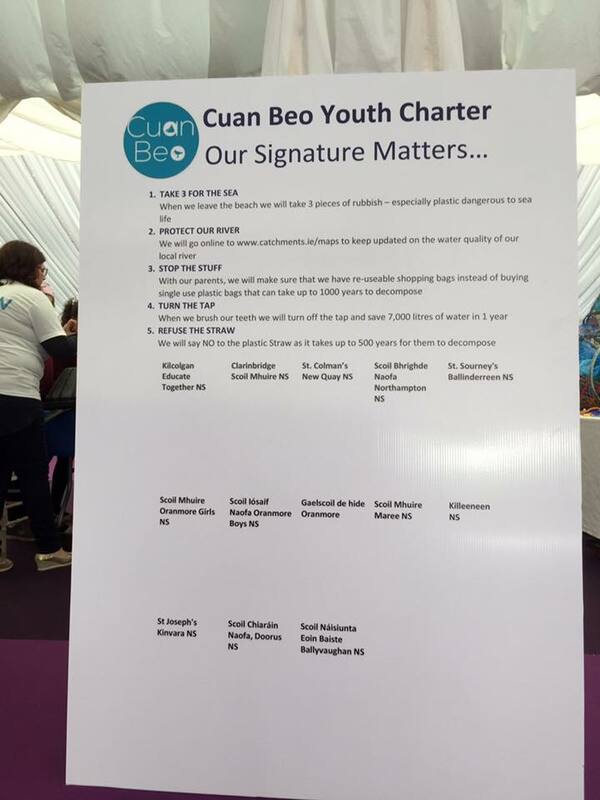 Cuan Beo organised an interactive education day for schools in the South East Galway Bay Catchment last Friday 5th October. 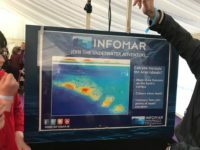 The event focused on protecting the local marine environment for future generations. 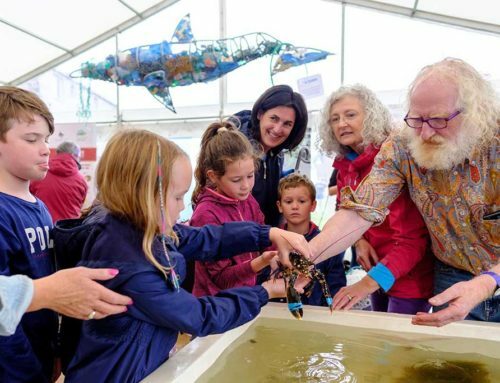 Children from primary schools in South Galway and North Clare were invited to the Oyster Festival Marquee in Clarinbridge to engage with the local fishing communities and agencies responsible for the stewardship of the aquatic environment in the South East Galway Bay catchment – an extensive area with streams, rivers and groundwater draining into Galway Bay between Renmore Point and Blackhead in Co Clare. 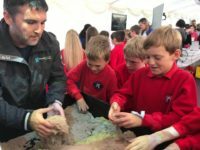 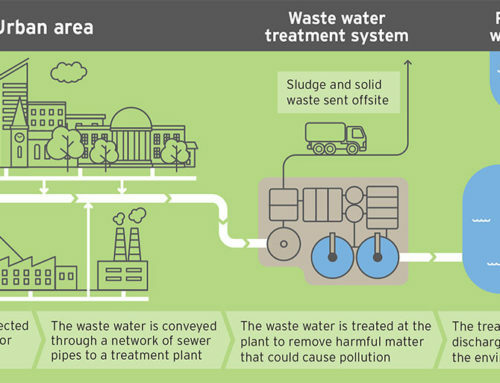 The interactive education day followed the movement of water from source to sea within the catchment. 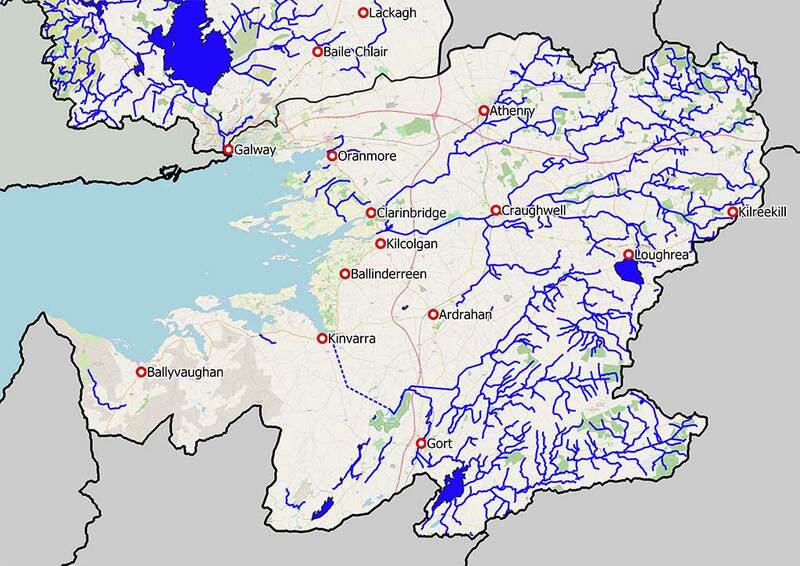 Almost 480 children from 13 schools in Galway and Clare had the opportunity to learn about their local rivers and what they can do locally to protect them. 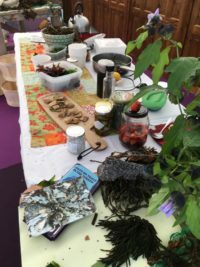 A number of organisations and agencies established exhibits within the marquee to explain the different aspects of our aquatic resources. 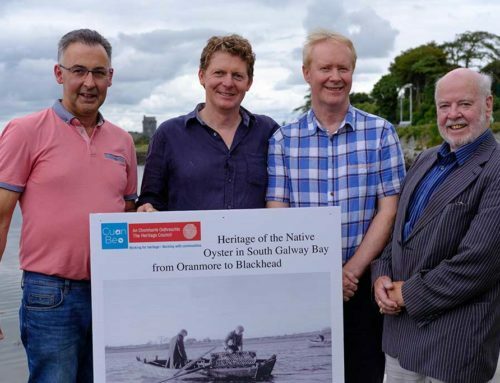 These included the Water & Communities Office (water source & river water quality exhibit), the Marine Institute (phytoplankton exhibit), InfoMar (Coastal Mapping Exhibit), Coastwatch & Friends ( Plastic Pollution Station), a marine environment station with aquaria provided by Galway Atlantiquaria and local fishermen who presented a shellfish farming exhibit. 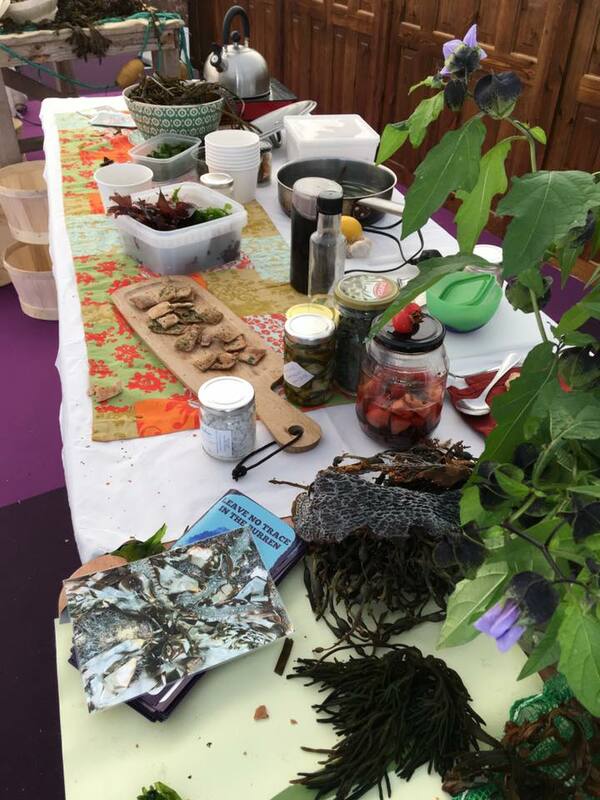 In addition, Oonagh O’Dwyer from the Wild Kitchen presented seaweed cooking demonstrations and tastings using local produce throughout the day. 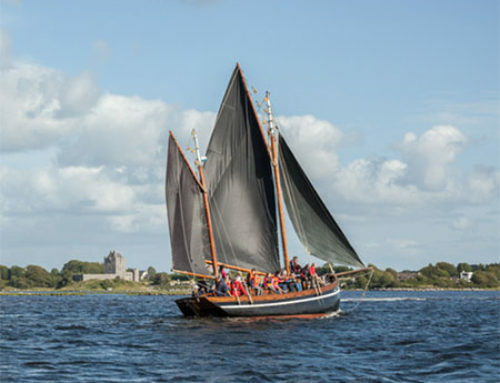 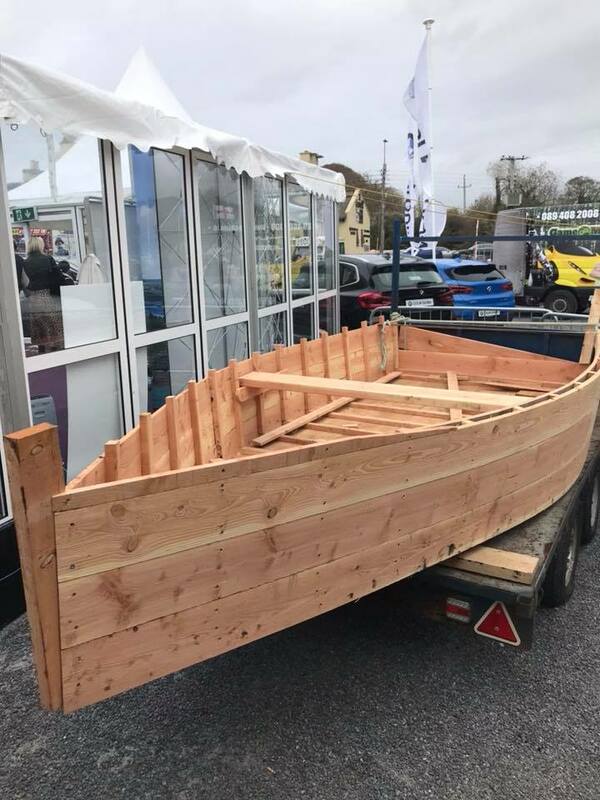 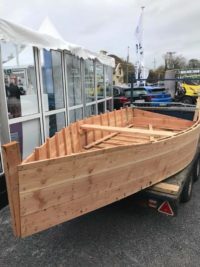 To highlight the importance of related skills, local boat builder and fisherman, James Linnane constructed an Oyster Flat Boat on site. 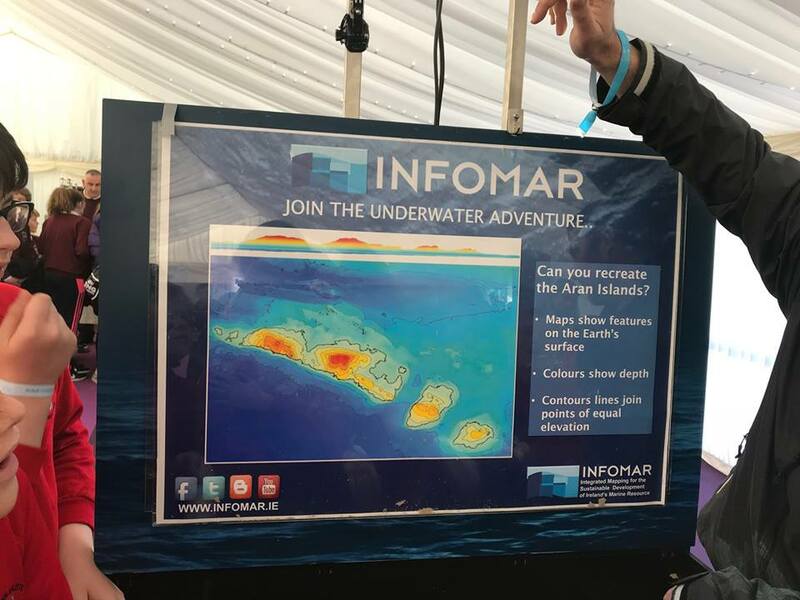 Teachers were provided with information on Continuous Professional Development courses developed by the Marine Institute and Galway Atlantiquaria. 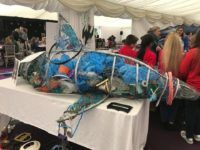 The aim was to raise awareness amongst our local communities to the importance of protecting our aquatic resource, of how the link exists between land and sea communities and how together we can protect our environment, communities, heritage and economy for existing and future generations. 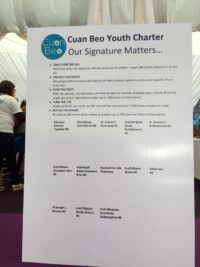 As part of the exhibition, children who attended were asked to sign up to a ‘charter to the environment’ promising to take 5 steps that will help protect the local aquatic environment and resources. The Interactive Environmental Exhibition for Primary Schools event was sponsored by FLAG West, The Marine Institute, Galway County Council, European Region of Gastronomy, Failte Ireland and the Heritage Council of Ireland. 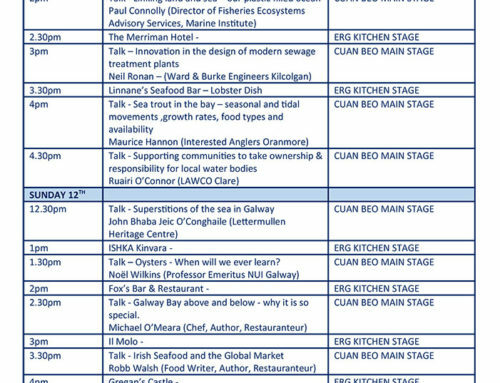 Schools attended by invitation only as there was limited availability. 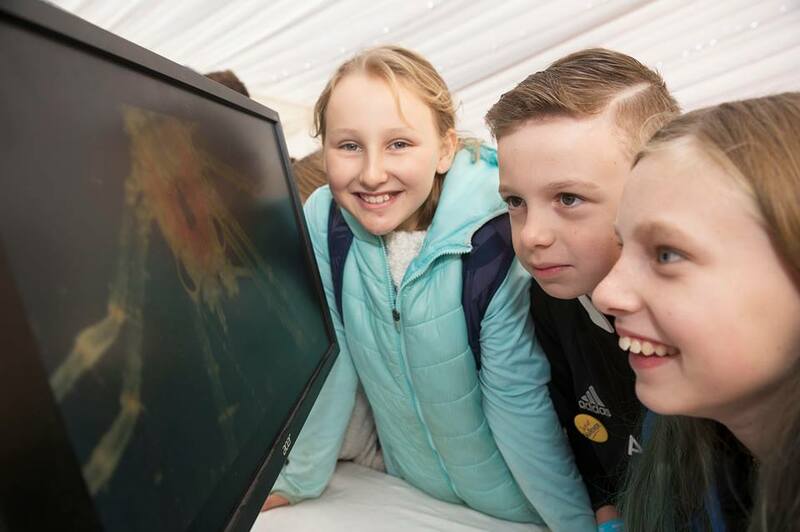 The event was designed around the 5th and 6th class curriculum and addressed many strands within the Social, Environmental and Scientific Education (SESE) subjects. 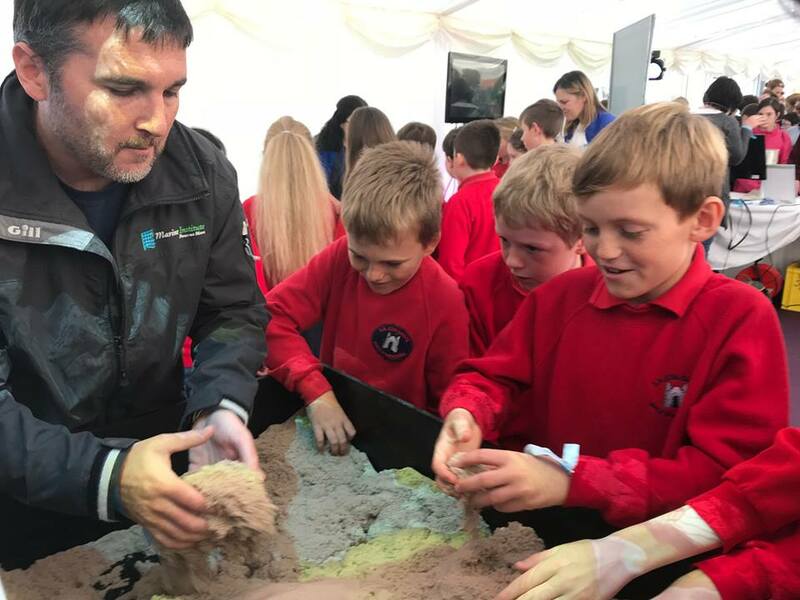 While almost 500 children attended the event, more than 780 children had expressed an interest in attending.